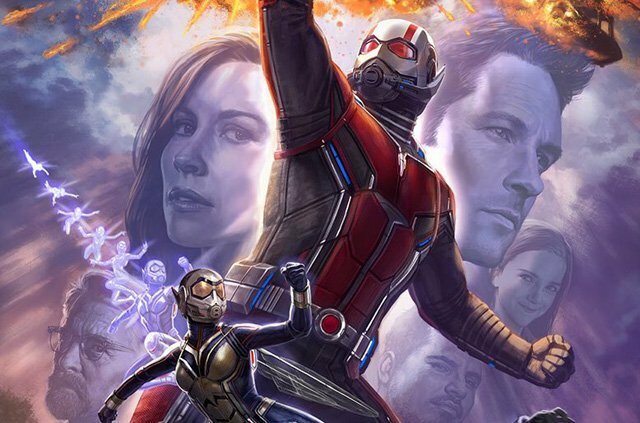 The Marvel Studios panel has come and gone, but now we’ve received another surprise in the form of the official Ant-Man and the Wasp Comic-Con poster by Andy Park! You can view the full poster in the gallery below! Last night, Marvel Studios announced that Michelle Pfeiffer (Dangerous Minds, The Wizard of Lies) and Laurence Fishburne (The Matrix trilogy, John Wick 2) have joined the cast of Ant-Man and the Wasp. Pfieffer will portray Janet Van Dyne, the wife of Michael Douglas’s Hank Pym and the original Wasp. Fishburne will play Dr. Bill Foster, who in the comics is an assistant to both Tony Stark and Hank Pym and who eventually takes on Pym’s Giant Man abilities and becomes known as Goliath. Confirmed for the cast are Paul Rudd (Forgetting Sarah Marshall, Role Models) as Scott Lang, Evangeline Lily (Lost, The Hobbit trilogy) as Hope Pym, Michael Douglas (Falling Down, Basic Instinct) as Dr. Hank Pym, Michael Pena (End of Watch, The Martian) as Luis, David Dastmalchian (The Dark Knight, Prisoners) as Kurt, T.I. (Fast & Furious 6, The Hangover) as Dave, Randall Park (Fresh off the Boat, The Interview) as S.H.I.E.L.D. Agent Jimmy Woo, Hannah John-Kamen (Killjoys, Black Mirror, Game of Thrones) as the Ghost, and Walton Goggins (Justified, The Hateful Eight).